Four people have already shoved past me, bumping into me with total disregard. It’s 90 degrees outside and I can feel their sweat rubbing off on me as they pass. My skin is crawling and it’s not even 9 am. The woman behind me reaches her arm over me and presses her palm onto the countertop, revealing coins with menorahs on them and currency I’d never seen before. People are shouting in Hebrew, reaching from all directions to grab their lattes and although half of them were smiling, I couldn’t tell if they were arguing or laughing. I finally order my drink in English and retreat to a table in the corner of the coffeeshop as fast as I can. I wipe down my entire face which has not stopped perspiring since I left the house. I feel like I am drowning. …this was going to be a long transition and it’s only my third day in Israel. I was living in Chicago coaching figure skating full-time and working as a store manager at Ivivva, an extension of Lululemon. Between battling the snow and spending half my time at ice rinks, I was freezing cold all the time. I couldn’t keep justifying why I lived in a city where my face hurt every time I stepped outside. My work was engaging, but it felt as though I was doing the bare minimum. After an incredible 10-day trip to Israel on Birthright, I knew I owed it to myself to take a leap of faith and so I made the decision to move to Israel ten months later in 2017. Upon arrival in Israel, I began an internship at Studio Sol, an English-speaking yoga studio in the heart of Tel Aviv. My role included creating new marketing campaigns, redesigning the website, building a retail space in the lobby of the studio, as well as event planning. I was completely starting anew. Once I decided to move abroad, I began to save up and research on how to best prepare for the transition. I discovered a company called Destination Israel that provided a soft landing for life in Israel. This program organized the following for a payment in advance: an apartment, a social group of peers, a guaranteed internship, medical insurance, unlimited transportation around the city, organized trips all over the country, and most importantly, Hebrew lessons. Essentially, the program provided my foundation for life in a new country. I interviewed many companies that offered these amenities before deciding which one to choose as I had to make sure I felt completely comfortable putting my life in their hands. Destination Israel gave me the ability to start over without living in fear or stressing over how to do it all by myself. 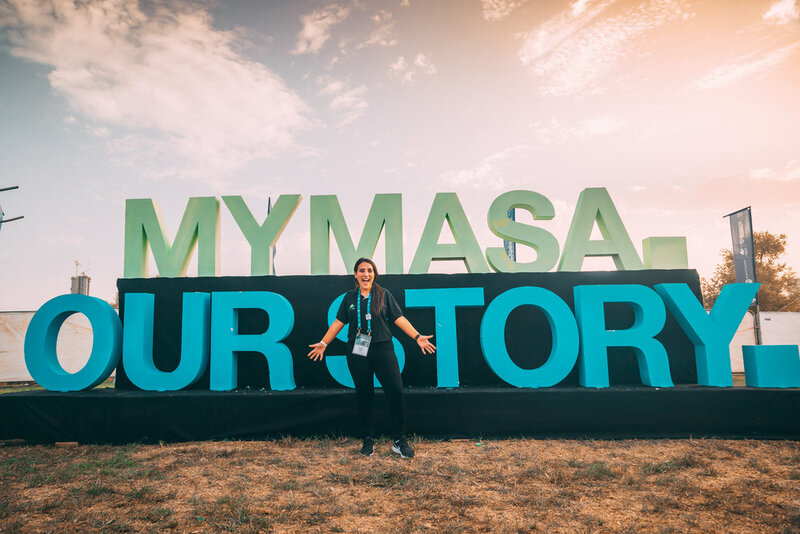 My next step was to contact Masa (meaning journey in Hebrew), which is an umbrella organization that helps young Jews from around the world afford to pay for these programs. With the framework and the funding, my journey back to Israel was under full swing. Israel is a living, breathing jungle. Since its founding 70 years ago, the mantra of the locals is “to eat or be eaten”. No one wants to be a frier, or a “sucker.” This country was predicated on fighting for a right to exist and rose from the remnants of the ashes of Europe. Only in Israel do you find a unique blend of Ashkenazi fear, Sephardic warmth and assertiveness, Muslim heritage, and modern technical innovation and vibrancy. The people come together to create a frictional coexistence unlike anywhere else in the world. They are constantly on edge, always alert and guarded, not willing to be taken advantage of. As a result, they push past you to get onto the bus and they reach over you in the supermarket to grab what they need first. Worst of all, no one stands in line in Israel. As a polite young American woman who has spent her entire life apologizing when other people bump into her and living life at intersections gesturing, “No, you go, really, go ahead” to the cars next to her—this was a rude awakening. Yet, it was also the best cultural shock that could ever happen to me. Living in Israel forced me to become assertive. If I wanted something, I learned to have a voice and not to ask for permission. Back in the US, I stuck to the sidelines in life. Even as a manager and coach, I never really gave myself the permission to think of myself as a leader. But by being in Israel, I was already in a position where I felt uncomfortable, so there was no better time to continue to push the limits of my comfort. I attended 5-day leadership summits with seminars and lectures on how to become an effective leader. I hosted Ted talks and led engaging conversations on self-awareness and my ability to create an impact on communities. I got involved politically by joining seminars on Women in Leadership and by meeting the “Women of the Wall,” women who choose to read from the Torah in Israel, even if it means being arrested by police or attacked by the ultra-orthodox. I spent a weekend at the Jewish Federations of North America General Assembly to discuss important topics such as security, pluralism, high-tech innovations, and Israeli-North American diaspora relations. I wasn’t afraid to find my voice and speak out on women’s issues in a country where I was just beginning to find my bearings. I kept pushing myself to get involved and take initiative. Attending these lectures and summits woke me up. I stopped making excuses for why I didn’t deserve to be the best version of myself and started to actually show up to life. I’ve done more in the past year than I’ve ever done in any year prior to my move. The biggest personal discovery was realizing how capable I am. When you’re on the other side of the world without your friends, family, or anything familiar—you develop a resilience beyond your own comprehension. I had to learn multiple new languages—yes, in the literal sense but also in an emotional sense. There’s a subtle nuance to learning the language of inclusivity and personal difference. I would hear from young Palestinians on what life is like on the other side of the security fence and also from local Israelis about what it’s like to lose family in wars and in terrorist attacks. There is so much to sort through and digest. Occasionally, it became too much. I allowed myself to cry and to feel every feeling. Every day I’d recognize the small moments, which reminded me to slow down and to remember where I am. Although the move was initially jarring and unnerving and I had plenty of fear over the unknown, it was the very stresses of this hectic environment that gave me the tenacity and ability to realize my own worth and strength. For every negative experience I’ve had, it’s been matched with incredible experiences as well. For example, the same bus where I once got shoved was the place I met a girl named Danielle who struck up a conversation with me and invited me to Shabbat dinner at her house on a whim. I showed up to an amazing roof deck overlooking the Mediterranean with the most interesting group of people. Truthfully, Israelis are some of the realest, warmest, kindest people I’ve ever met. Just like in the jungle, they’ll sniff you out. If they feel you’re part of their “tribe” they’ll take the shirt off their back for you, invite you over for Shabbat, feed you, and make you feel incredibly loved and at home. After almost a year and a half of living in Israel, I now think of myself as a global citizen. I don’t shove or push past people the way Israelis do, but I do have a strong voice. I find myself helping tourists not be friers when I notice that they don’t understand the language or how much change they should’ve been given in the market or coffee shops. I’ve learned how to stand on my own two feet in Israel and over time, I’ve became more comfortable with navigating my life here. Alissa current resides in Tel Aviv, Israel and is the head of sales for North America at Destination Israel. She’s passionate about helping others whether it be through women’s empowerment, navigating a relocation to a new country, or in practicing yoga. 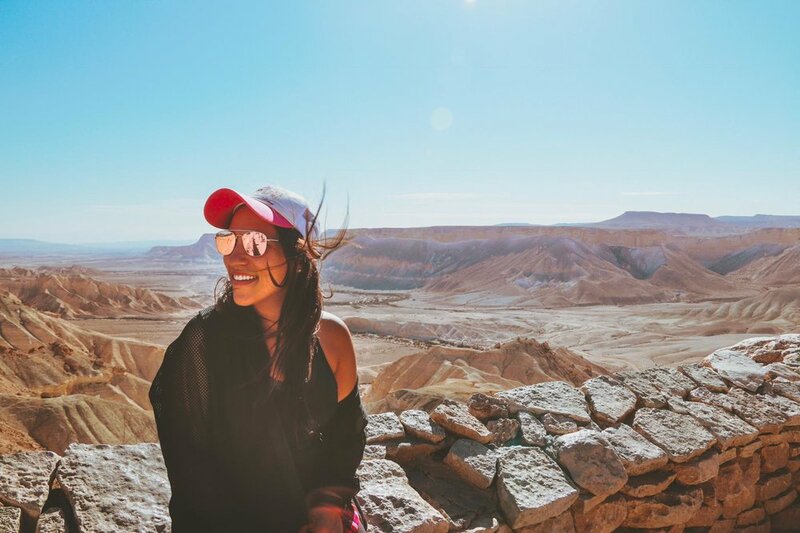 To connect with Alissa, follow her on Instagram @missaliss1340 or send her an email Alissa@destinationisrael.com. Thanks so much for your story, Alissa!